If your events are popular, or if you are restricted on the number of people you can have, you may find that you need to have a waiting list. 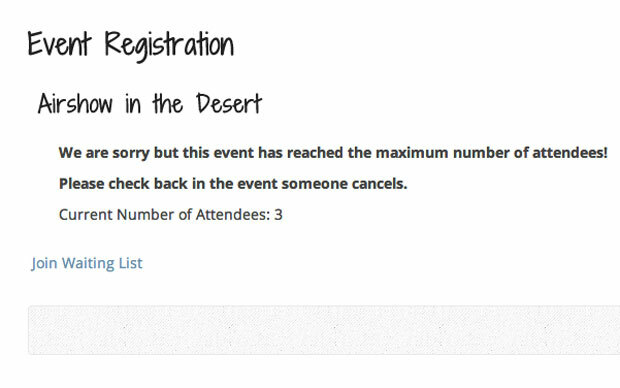 This means that, if your event is full, people can add themselves to a waiting list. If someone drops out of your event then the person on the waiting list can be added to the list of attendees. You can require that wait-list attendees pay for their spot in line so that you can try to add more capacity to your event. The best in-app documentation—and documentation systems—available for any event plugin.